This is an example of takenoko or bamboo shoot-shaped vase, so called because of its long neck made to resemble bamboo joints. 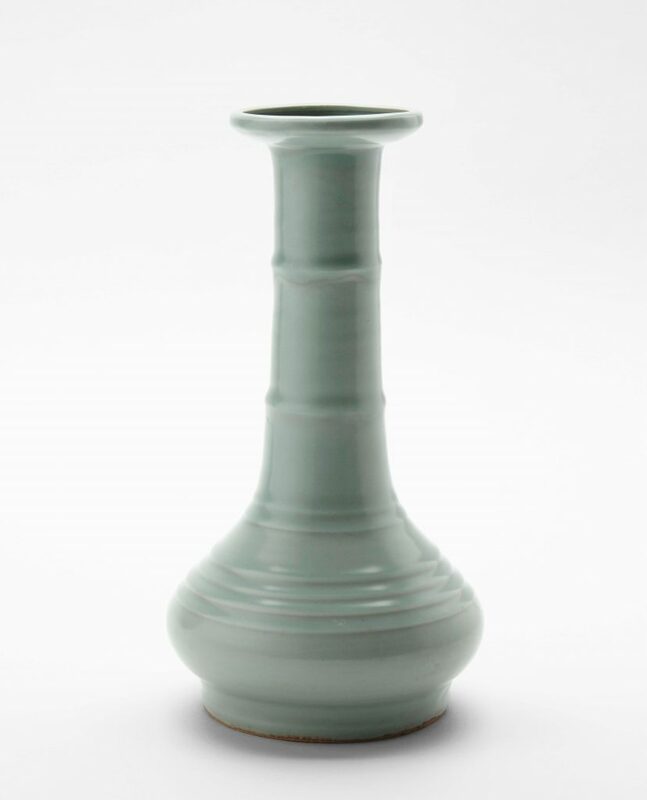 The vases have long been treasured by chanoyu aficionados for their rarity and graceful silhouette, as well as for the elegant jade-colored glaze which was particularly favored in Japan. This piece, delicately potted with a grayish white kaolin clay, is comparatively light in weight. It is said to be a product of the Dayao kilns, which produced especially wonderful pieces of Longquan ware.